First of all, I need to apologize if this post ends up being a bit of a downer. I always strive to keep my blog positive, as you know. Not today. Originally, I wanted to write today about yesterday’s celebration of the Dormition of the Virgin, the third greatest celebration in Greece (and the Greek Orthodox tradition), after Easter and Christmas. Although nominally a religious holiday, it is celebrated in the same manner as Easter, with family gatherings, public festivals, and loads of lamb eating. Many go to the beach for a quick swim first, as August is usually the hottest month. Since no one works, it’s perfect for relaxing, and most people will be on vacation this week. 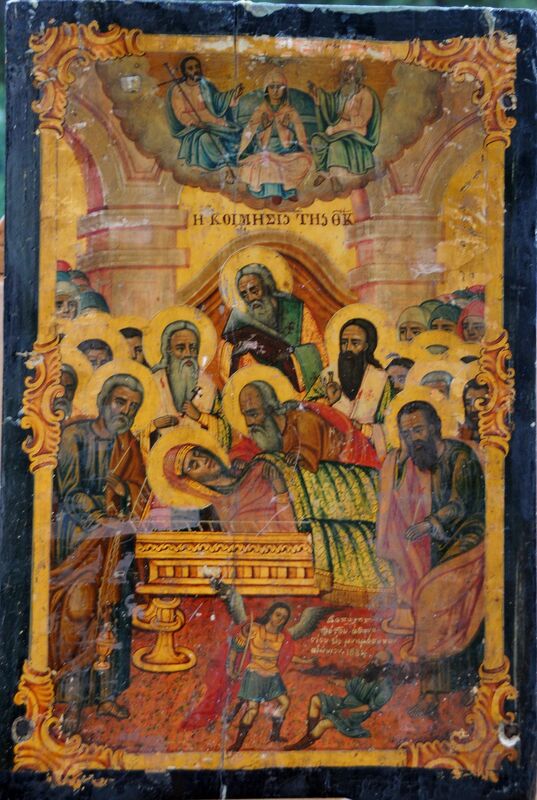 You can read all about it in my last year’s post on the subject, August 15 in Greece: Dormition of the Virgin. Instead of enjoying the holiday, I find myself this year still coping with the aftermath of the deadly fires in Mati, barely a 40-minute drive from my place. We now have 94 confirmed dead–drowned while trying to escape the flames or burned alive. And over 3,000 houses were damaged or destroyed by the fire. My family used to holiday there back in the 80s. I spent many a summer playing with Agnes and other friends. Agnes has grown up to be a wonderful woman, who married Vaggelis, a lovely man who’s now the mayor of the nearby port of Rafina. So this is all a bit too close to home for me. Even though Mati is not part of Rafina, a lot of people owe their lives to Agnes’ husband, who spent every minute of that terrible day–and every day since–helping out wherever he could, not resting for a minute. Instead of gratitude, the government has been busy trying to shed any responsibility and spread the lie that Vaggelis knew about the fire since 2 pm (before the fire even started) and that he only notified his family. Agnes lost everything; her house was burned down, as were her cars. She spent 5 hours swimming with her two children and elderly parents. Her best friend and business partner, Elena, was also with them, as was Elena’s father. They all survived except for Elena’s father, who suffered a heart attack and drowned after 3 hours in the water. When I spoke to Agnes, I expected her to be sad. Instead, she was furious at the accusations against her husband. She had no warning, obviously (as she would have secured her possessions and fled instead of letting the fire destroy everything and threaten her family). The lies only stopped because his house was burned down (see photo), therefore the liers realized they couldn’t accuse Vaggelis of looking after himself first. When that lie failing to catch on, the government’s story changed. The official narrative became that it’s the residents’ fault for building in a forest area. And it’s a lie that has found its way into all major media outlets worldwide. The image above is of Mati before the fire. 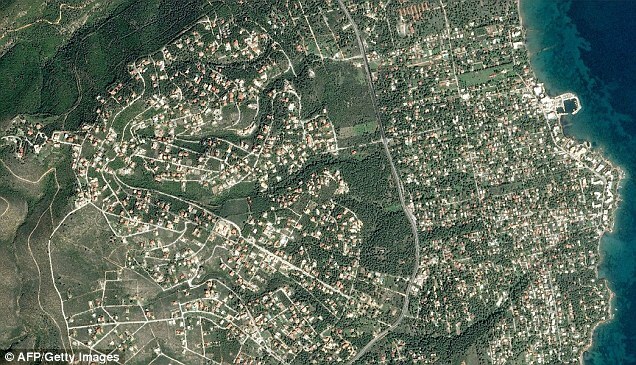 Hardly a few stray houses in the middle of a forest, as the government claims. And the government narrative fails to mention that this area has been built since the 60s. All the houses you see above had permits and were legally built. Furthermore, fires are a constant threat in Greece. They burn almost annually but never were so many lives claimed or an entire village destroyed, as the fire department easily put them out. So, what did really happen? A number of factors conspired to make this the deadliest fire I can remember. First of all, no one ordered an evacuation. People had closed doors and windows because of the smoke and were staying inside. With no power, due to the fire cutting the power lines, they had no way of knowing when to leave. 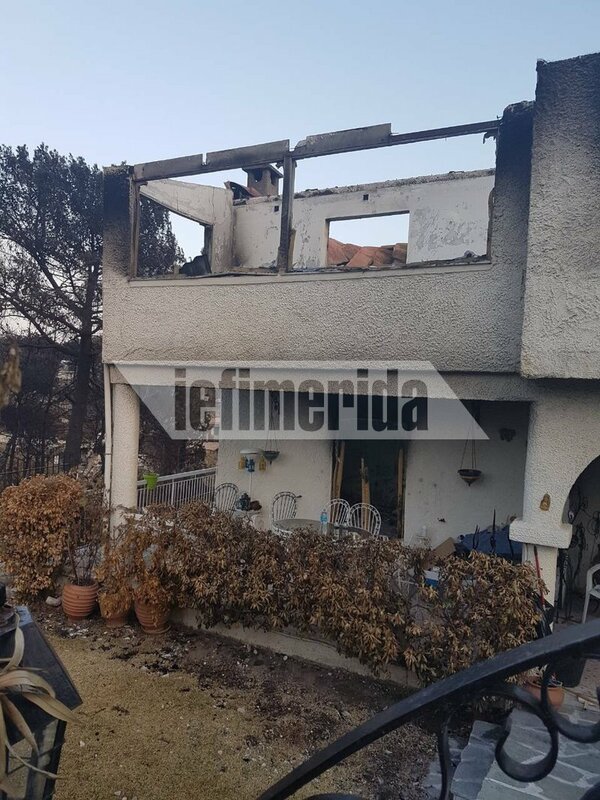 A friend of mine only realized the fire was already burning down his garden when he went out to manually open the garage door in case he and his family needed to leave in a hurry. The fire department underestimated the winds and had sent every single one of their fire trucks to another fire in Western Attica. By the time they realized how big this one was getting, it was too late; it was raging out of control. There should have been reserve firetrucks patrolling Mati, as they did every year. In fact, the residents’ association had bought and donated to the Marathon Municipality a number of such trucks, to be used in case of emergency. Unlike other years, this year they were nowhere to be seen. The residents’ association had sent–long before the fires–repeated letters to the Mayor of Marathon, Mr. Psinakis (a former TV celebrity)–the same one who failed to order an evacuation. They received no response; no one knows where the firetrucks are or why they weren’t patrolling this summer. The main reason so many people died is that the police then closed down the main street, Marathonos Avenue, thus trapping thousands of people who were trying to evacuate. These were forced to take side streets in order to escape the flames. However, no one thought of shutting down the nearby port of Rafina and redirecting boats to Piraeus. As a result, boats spilling with thousands of cars arrived from the islands, hindering the evacuation by swarming the narrow streets. Most of the dead were the direct result of these two terrible mistakes: unable to escape by car, the fire caught up with people as they were trying to flee on foot. The photo shows one of the side streets, the cars still trapped in an endless queue that will never go anywhere. Some people jumped off cliffs and into the sea. A few died as a result. Many others, however, drowned, as they had to swim for hours. People were already in the waters for 3 hours before anyone thought of alerting the coast guard to pick them up. Even then, the coast guard sent a ship that was too big for that particular area. All they did was ask fishermen boats to save people. They didn’t even consider using their floodlights to help with the rescue. The Navy was never even asked to help out, despite the fact they have everything they need to perform Search and Rescue operations, from helicopters to speedboats. And yet, the next day the minister of defense made a rather imperial appearance in Mati, to accuse the survivors of being responsible for the loss of life because they had built their houses there. And another minister accused them of not swimming far enough, to escape the flames, therefore it was their lack of training (sic) that was to blame for their deaths. The whole thing has been a shambles from the go. The government has claimed from the start it was all unavoidable and that nothing could be done to save those people. Even worse, they then tried to shift all blame on the victims, as if they hadn’t suffered enough. The only people fired so far were the chief of police and the chief of the fire department, while a Deputy Minister resigned (his boss refused to, arguing he did nothing wrong). The mayor of Marathon has steadfastly refused to resign, as have any other government members. Instead of resignations, the government has set up a committee, tasked to attribute responsibility for the disaster. They even asked a German professor to head it, supposedly to ensure its impartiality. 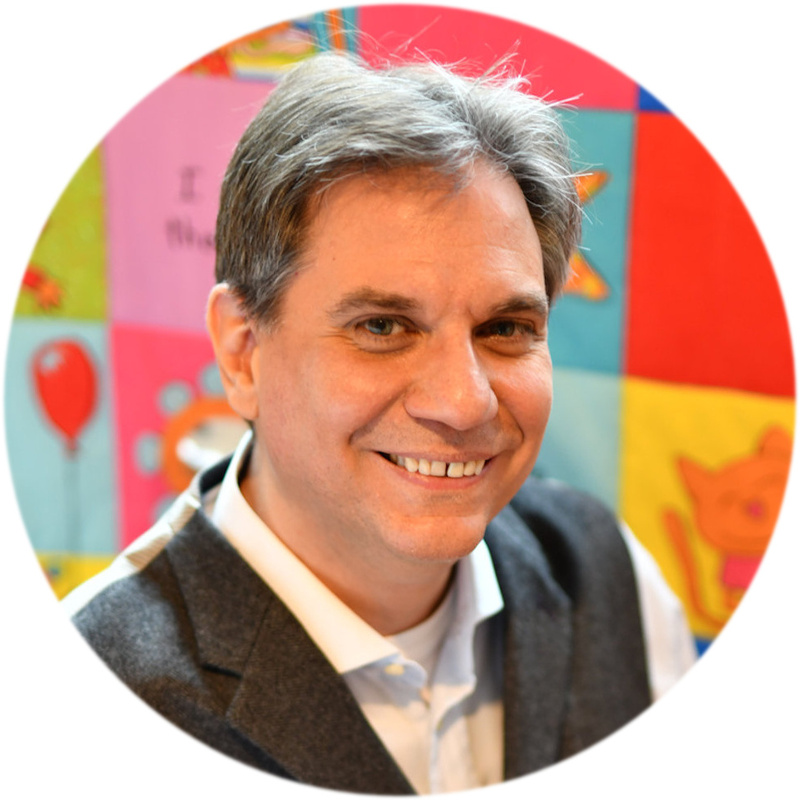 However, this professor has appeared on every major TV channel and all over the Internet to explain that nothing could have been done differently and that the government is in no way responsible. A conclusion that might be better accepted, had the committee held even a single meeting to present him with the available information. The government’s level of incompetence is only matched by its level of cruelty. Elena doesn’t deserve any compensation for her dead father, they said, because he was old and had a frail heart, therefore he might have died of a heart attack anyway. They needed proof that the fact he had been swimming for 3 hours was responsible for his heart failing. Again, I apologize for the ranting post. But right now, after talking to friends from the UK who said that the story they hear is one of people who stupidly moved into the forest and got punished by the fire for their greed, I felt I had no choice but to tell people their story as I heard it, first-hand. 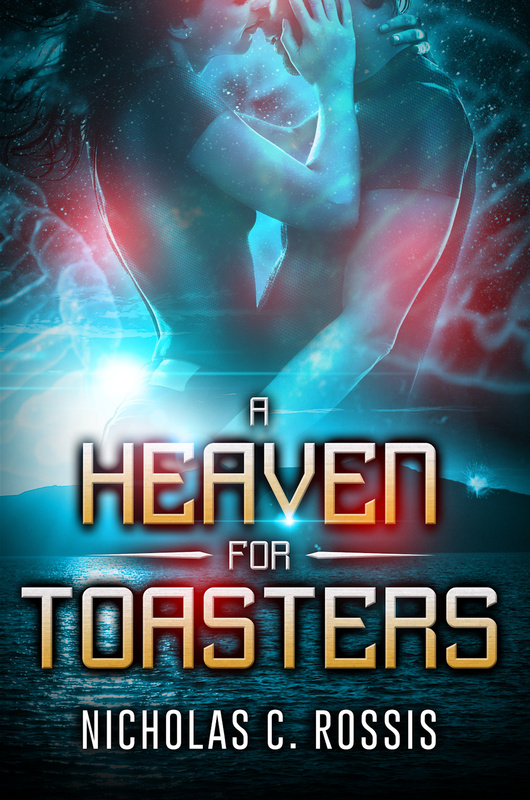 Normal service to resume shortly (after all, A Heaven for Toasters was released on Monday). Thank you for understanding, Debby! It is so sad that in this modern age there are still government officials who behave like thugs. Incompetent thugs at that. That German ought to be held as an accessory to the illegal conspiracy. I’m sorry for all of this Nicholas. good to know that Government incompetence is not limited to the UK. Sounds like a hideous situation, Nicholas. The long term forecast for the Earth’s climate does not bode well for places like this. No apologies needed, some things need saying. Nicholas, there is no need to apologize. This is a heart-rending account. I am so sorry for all those who suffered the loss of family and friends, homes and other possessions. Fire is a terrible thing and can easily get out of control, but with no fire department and no warnings, that is inexcusable. Sending prayers and healing thoughts. No apology needed Nicholas – it is heartbreaking for those who have lost family and friends, their homes and possessions to hear their government play the blame-game. There is a Maori proverb which suggests that it is people who matter: He aha te mea nui o te ao (what is the most important thing in the world?) He tangata, he tangata, he tangata (It is the people, it is the people, it is the people). A lot of people passed away in this tragedy, surely it is better to focus on providing those who lost so much with expressions of sorrow and support and to put in place strategies to ensure it doesn’t happen again. God’s blessings on you, your family and those who suffered and lost through this tragedy. Thank you so much, Catherine. Wise words, and a lovely Maori saying. Thanks! Governments lie? No! It can’t be! *sarcasm* I’m not surprised by what you said in your blog, Nicholas, but it doesn’t mean I don’t feel anger and sadness over all that’s happened in Greece. 🙁 I’m so sorry for all your friends and you have been through and that you had to set the record straight. It’s the same way here in the U.S. on occasion, most especially, foreign policy stuff. Propaganda is HUGE here. But anyway, take care, Nicholas! Thank you so much, Dorothy! It’s a sad fact we have to do a lot of digging to uncover the truth nowadays. Although maybe it’s always been that way. To tell the truth or lie? Seems as if more and more governments (meaning those who “lead” those governments) lie. Yes, politicians have always done thus, but you’d think with widespread media coverage, they’d think twice. Of course if the media can’t be bothered to uncover the truth … the poor people who died or who are trying to pick up the pieces of their lives face emotional battles most of us never will–except vicariously. Thanks for telling their story, Nicholas. Thank you so much for understanding, Barbara! That was a real disaster, Nicholas, I find that when all they do is look for blame they don’t come up with positive solutions. Canada has many forest fires ever year and they are getting worse. They will probably get worse in Greece too. You have to have a plan in place for when this happens because it is going to happen again. You’re absolutely right, Leslie. My plan is simple; lock up and get the heck out at the first sign of fire! That’s awful! I’m so sorry about this, and it’s okay for you to rant a little. I remember reading about the fires in the news but I didn’t realize the scope of it. Definitely praying for you, if you don’t mind. So sorry Nicholas! Rant utterly appropriate. How bitter for you and those losing everything to be blamed because official guilt can find no way to acknowledge. Glad you posted this. Thank you so much, Philippa, for understanding! Thank you so much, Suzanne! You hit the nail right on the head–it’s the cover up that gets to me even more than the actual mistakes. The former is deliberate even if the latter can be excused as human error (albeit with tragic consequences). I can understand the rant, and the associated emotions, so no need to apologise. Your personal account contains more details than all the news reports I watched or read. On the news here, we were told that it had been started deliberately, and a man had been arrested for that. They tended to excuse the unpreparedness of the authorities, by stating that they were not expecting arson. Thank you, Pete. A 65-year-old was arrested for accidental arson (he was trying to burn some dead branches in his backyard). A 35-year-old was arrested for deliberate arson in Marathon for an unrelated string of fires none of which was terribly dangerous. The arson defense was used by the government right away. Pro-government media suggested right away the government was blameless because it was arson and showed photos from burned gas canisters. However, these photos were from an unrelated fire (in Kinetta) and had already been dismissed by the fire dept. as having no relation to any fire (they were just trash). The level of propaganda is shocking.